Autoharp belonging to Clara Conwell of Milton. 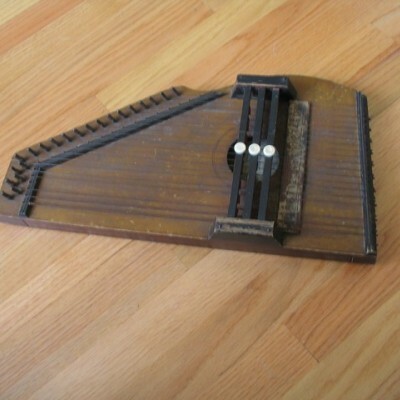 Label reads: "Zimmerman's/Miniature/ Autoharp/pat'd May 9, '82/with simplified notation of music". Clara Conwell was born in 1864. Collection of Dr. James and Nancy White, who inherited these items from their families, the Conwells and the Baileys.